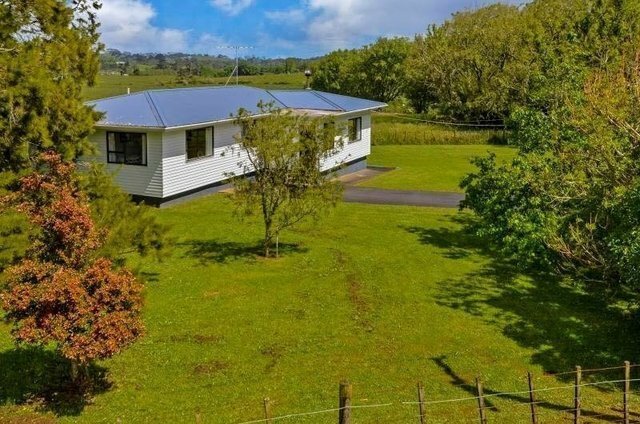 In sought after Dairy Flat, minutes' from Albany, 6km to Silverdale Center and just moments from motorway access, here on offer is a 3 bedroom lifestyle home on a 1.7387 ha. flat rural site rezoned as Silverdale West Dairy Flat business area due to be ready for development in the period 2018-2022. Our vendor has genuinely decided to sell. This home with warm and inviting open-plan living spaces, 3 good sized bedrooms and 2 separate double garages, is rarely available in this area. Genuinely on the market... Our very motivated Vendor wants to see YOUR offer! If you want big land, can buy Lot1 & Lot2 (4 hectares) together, any offer vendor happy to look. Call Ray on 0211900881 or email r.qu@barfoot.co.nz for your private viewing. * 'Silverdale West Dairy Flat business area' Information from Auckland City Council. Planning Committee agreed to prepare a structure plan for the Silverdale West Dairy Flat business area identified in the Auckland Future Urban Land Supply Strategy 2017 (FULSS). This area is intended to be ready for development in the period 2018-2022. The Auckland Unitary Plan Operative in Part (AUPOP) sets out the requirements for a structure plan. The council carries out investigations and prepares a structure plan for this area. Auckland City Council will then consult with the public on the draft structure plan (late 2018). Further technical and public input on the draft plan will help create the final Silverdale West Dairy Flat business area structure plan (late 2018). Planning Committee adopts the final structure plan (late 2018).